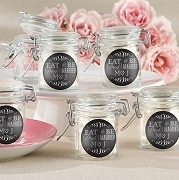 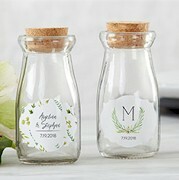 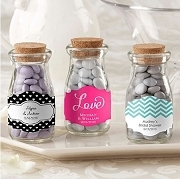 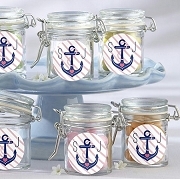 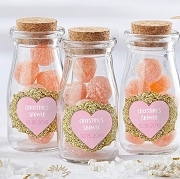 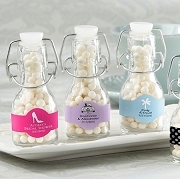 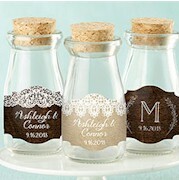 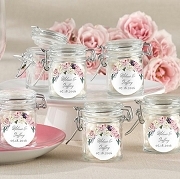 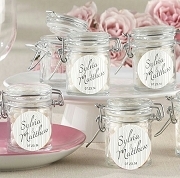 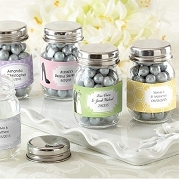 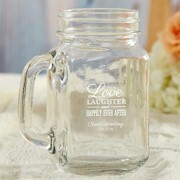 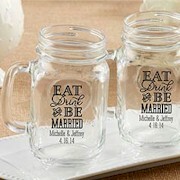 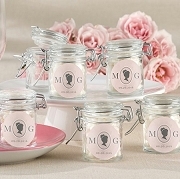 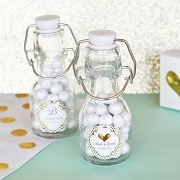 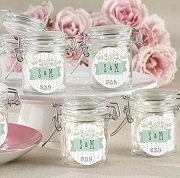 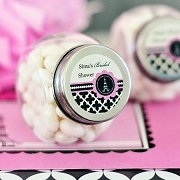 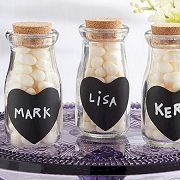 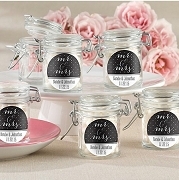 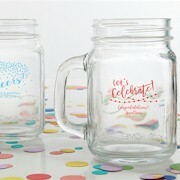 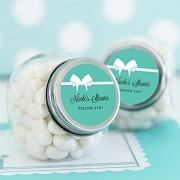 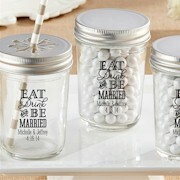 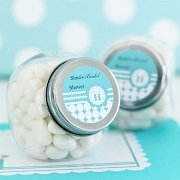 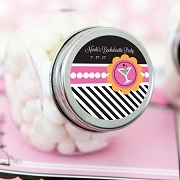 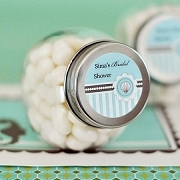 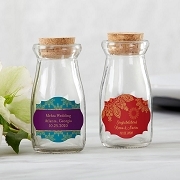 We offer a wide range of personalized glass jar favors for wedding and bridal shower party. 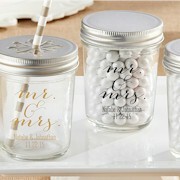 These practical and trendy glass jars can be used as containers for your favorite candies. 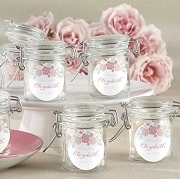 They also make nice table decoration by adding a flower bouquet. 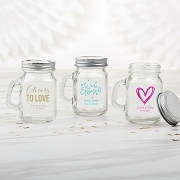 We offer these jars in different shapes with unique custom designs to match your event's theme.